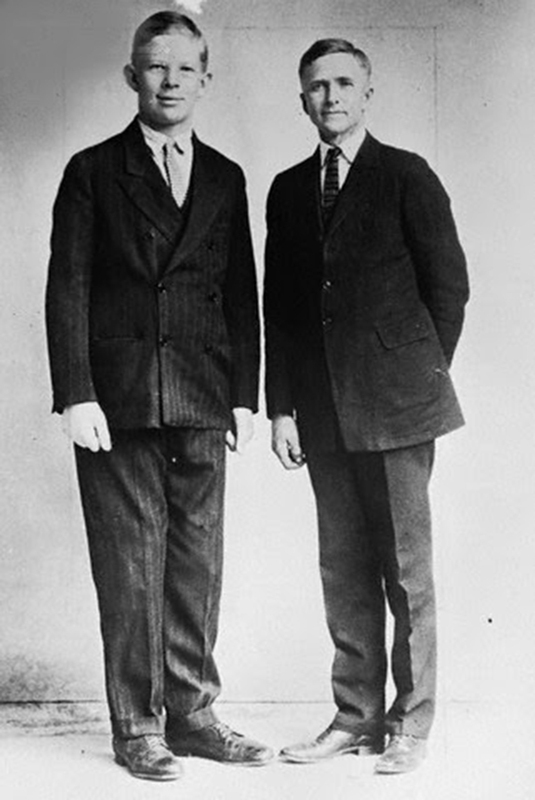 Robert Pershing Wadlow was born in 1918 to Harold and Addie Wadlow of Illinois and was the oldest of 5 children. When Robert turned one, he was already 3’5” tall and weighed 45 pounds. His growth spurt never stopped and by age eight he was already way taller than his father. His extraordinary growth was fueled by a hyperactive pituitary gland. 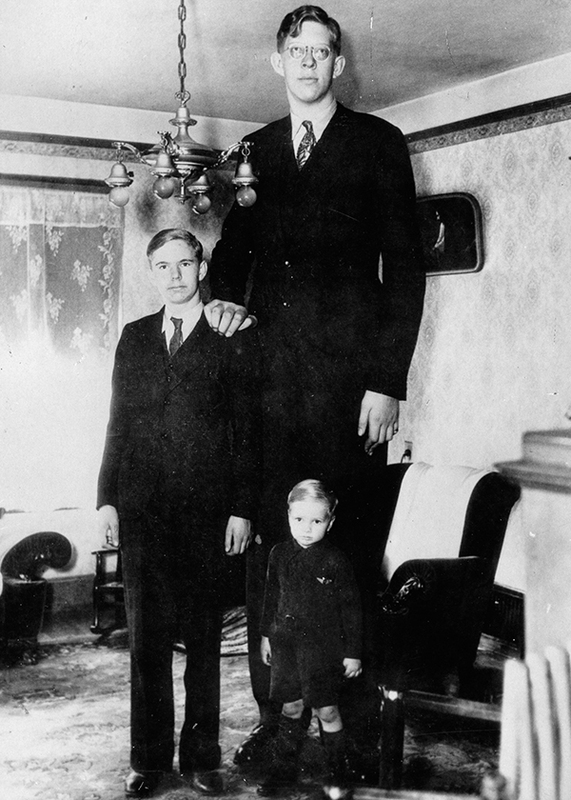 In 1937, Wadlow became a record-holder for the world’s tallest man when his height reached 8 feet and 4 inches. Wadlow was a mild-mannered young man so he was called by people as the “gentle giant.” He loves photography and playing guitar, but he had to stop both hobbies when his hands grew too large for the instruments. At age 6, Robert was already taller than his dad when he measured 6 feet. His father was 5′ 11. See Robert's photo at age 10. See Wadlow's photot at age 17 with his brothers in 1935.